It’s clear that western monarchs cannot survive even one more year of decline like this one. The low numbers were not a surprise for those of us tracking the butterfly’s migration. Overall, monarchs were seen in lower abundance across the western range, with lower utilization of available habitat, though scientists are unsure what exactly caused such a dramatic decline this year. Theories include the fierce fire season, spring storms and the lingering effects of a historic drought. But these are just a few climate-related factors contributing to the long-term decline of the species. The monarch butterfly relies on flowering plants for nectar and on milkweed plants to lay their eggs and for caterpillars to eat. In California and across the West, much of the native milkweed and flowering plants have been eradicated on agricultural lands as a result of broad herbicide applications. If we’re going to change the trajectory for the monarch, we need to not only address climate change, but also protect, restore and enhance milkweed and wildflower habitat on working lands. Recent declines have energized those fighting for the monarch. 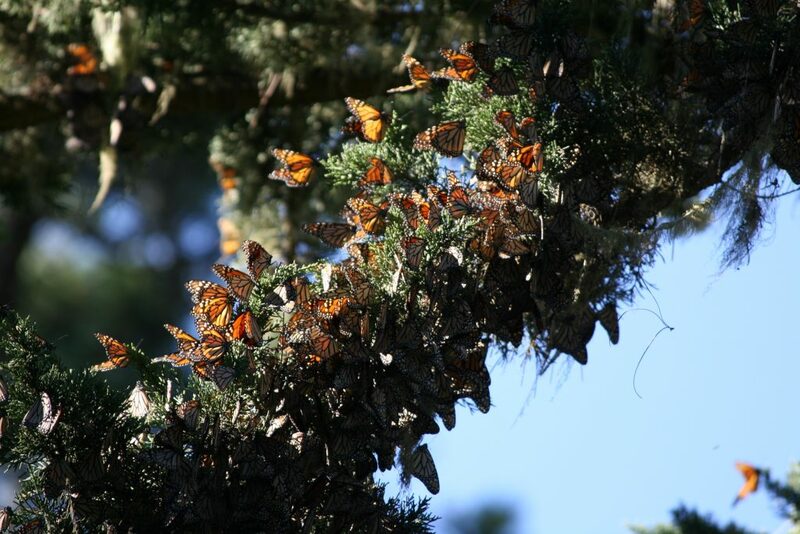 Across California, EDF is partnering with farmers who want to conserve this iconic species – farmers whose families have worked the land for generations and have seen the decline of the monarch firsthand. 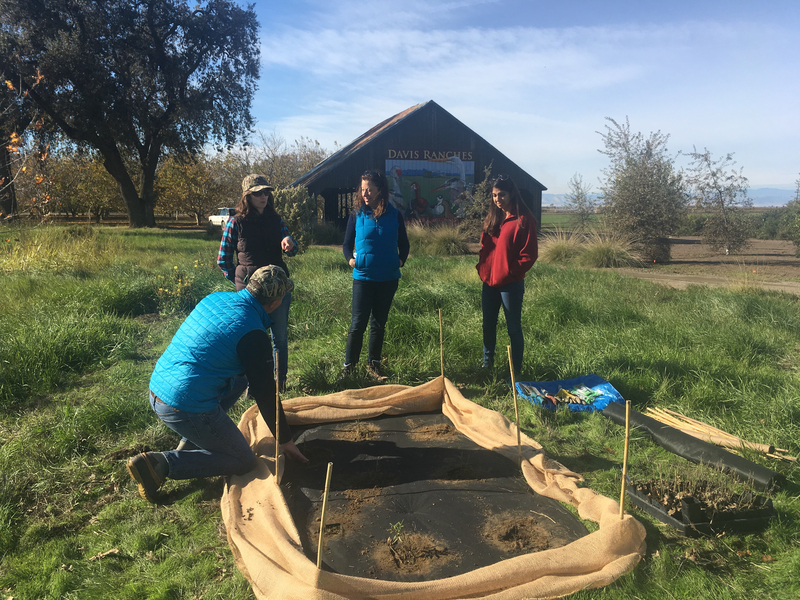 We’re working with these farmers to restore key patches of monarch habitat in places like the Central Valley, where monarchs travel in the spring and fall on their journey to and from the California coast. We’re also supporting more public funding for monarch and pollinator conservation, with a major recent success in the passage of AB 2421, a bill that provides $3 million for monarch conservation in California. EDF and agricultural partners are working quickly to restore habitat now to bolster next year’s migration and population. This February, we’re hosting a meeting to assess the state of the science on the western monarch population and determine an immediate no-regrets strategy to save the species. Through these initiatives, we hope to restore 30,000 acres high-quality monarch habitat in California over the next 10 years to bring stability and resiliency back to the western population. We still have a chance to turn things around for the western monarch and avoid the extinction of a beloved and iconic species. But it is imperative to act now. This entry was posted in ecosystems, Endangered Species Act, Wildlife Protection and tagged california, decline, monarch. Bookmark the permalink. Both comments and trackbacks are currently closed. Does EDF have photos showing they have ever successfully restored a few acres of milkweed in Calif? And photos showing those new stands reliably produced alot of fall migrant monarchs after about August 20 that migrated to the overwintering sites? EDF helped landowners restore monarch habitat on several farms across California. For example, we worked with a farmer in Colusa where we restored more than 20 acres of habitat to support monarchs. In years past, monarchs were abundant at this site, but in 2018 the farmer only reported 2 monarchs all year. Many of the monarchs we see on these sites come through in the spring/summer as they migrate inland. Generally, monarchs do not breed on their way back to the coast in the fall. We believe having more and better habitat is critical for monarch recovery, but we are hosting a state of the science meeting this winter to better inform this work. The milkweed is particularly sensitive to ozone pollution. Ozone is invisible but highly toxic to all vegetation. Milkweed, which is the only host for monarch breeding, is used as an indicator species in study plots due to its visible damage when ozone levels are high. The persistent background level has reached poisonous concentrations all over the world and reduces annual crops as well as injuring trees. Look there for monarch declines. Of course, habitat and hostplant protection are crucial to the survival of the Monarch butterfly population. But an even more urgent need is to stop the sale and use of neonicotinoid insecticides, which are especially harmful to pollinating insects since they make not only the plant, but also the pollen and nectar it produces, toxic to insects. They are now the most widely used pesticides in the world. The European Union has banned the use of neonicotinoids on flowering crops, but a bill (H.R. 3040) to stop their use in the U.S. is thought to have a very low chance of passing. In 2014 the USFWS banned the use of neonicotinoids on National Wildlife Refuges, but in 2018 the Trump administration reversed this ban.